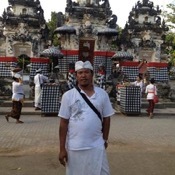 Hiring Putu for a two day tour was the best way to see Bali. A private tour for two with all the flexibility you need. As each day progressed we changed the itinerary as we felt something else in the area would be interesting. Sites were awesome, cultural experiences could not be beat as we ventured off the beaten path to visit the real Bali. I would recommend Putu for your next visit to Bali.